Have you ever felt so overwhelmed you’re not sure how you’re going to keep it together? I had a moment like that…or a few of them recently as I decluttered my house to get it ready to sell, chase three boys around, balance swim lessons and t-ball schedules with grocery shopping and laundry (which, by the way, I didn’t do so hot at last week as we had an underwear crisis!) And as a friend commented on facebook recently, it sometimes seems that as soon as you get through a whole mess of things, you’re inundated with twice as much — cause that’s life! This verse of “Great is Thy Faithfulness” was just what I needed. Oh the idea of a peace that endures and never fails comforts my heart! The reminder that God’s sweet presence cheers and guides me is the reassurance I need. His promise to provide strength and hope for each new day with new blessings, even if they’re in disguise (as the Laura Story song goes.) I just love it when Jesus comforts me with reminders of his faithfulness at the moment we need it most, don’t you? And though my situation hasn’t changed at all, I feel confident that I can do all things through Him who gives me strength. Great is His faithfulness. 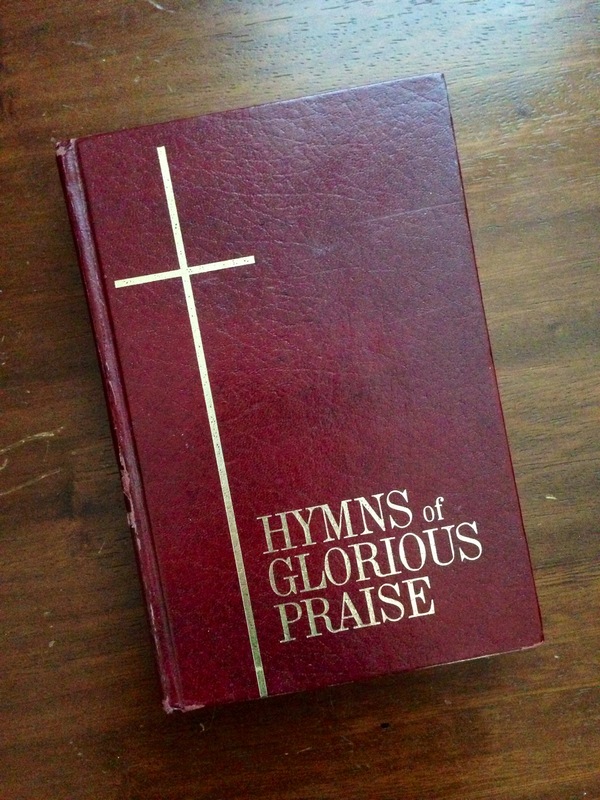 I grew up in a church that sung hymns. Being a military family, we’ve moved around quite a bit and I’ve noticed, for the most part, churches aren’t singing hymns…and I miss them. They tell a story about life, grace, love, and mercy in such a beautiful and poetic way. The language is in no way modern, but it’s beautiful and I love it! I love that so many hymns are not only inspired by scripture, but they’re also often personal testimonies of God’s faithfulness. Honoring and praising God no matter what struggles and trials life may bring. “When We All Get To Heaven,” which has always been a favorite of mine, was written by Eliza E. Hewitt, a school teacher and a Sunday School teacher who suffered an injury and became an invalid. Instead of becoming bitter, she instead studied literature and began to write, knowing that one day she’d be rejoicing on streets of gold. Though she’d recover, she’d always have relapses and pain. To borrow from the worship song, “Trading My Sorrows,” by Darrell Evans, Eliza E. Hewitt traded her pain for the joy of the Lord. For the offering in church yesterday, the worship team sang a rousing rendition (or as my mom would describe it, bar room style!) of the hymn, “When We All Get To Heaven.” It was lively and fun. It got the toes a-tappin’ and the hands a-clappin’. But beyond that, the message of the hymn penetrated my soul. I started truly pondering the wondrous love of Jesus, his mercy and his grace. How he was preparing a place for me, and what a day of rejoicing it will be when we get a glimpse of our Lord! Onward to the prize before us; faithful, trusting and serving every day and how all of our struggles on this earth will be well worth it when the pearly gates open and we finally gaze upon his beauty! When we get to heaven, forever praising our Savior. It was a glimpse of heaven! How wonderful and exciting is that?! I mean, really, it is so exciting! The bottom line is worship is worship and it’s a matter of the heart no matter which song we’re singing. Each of us must choose to open our heart to to worship and welcome the Lord. Because one day, “When We All Get To Heaven” and see Jesus, we’ll forevermore sing and shout the victory! But today, we’re singing a hymn!